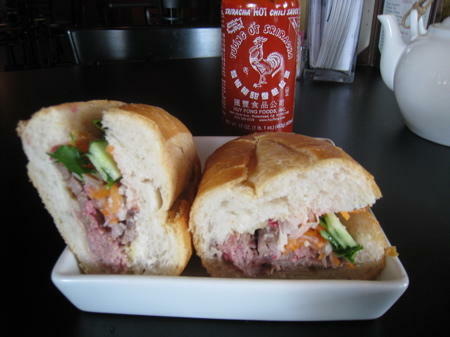 A banh mi, sometimes called the Vietnamese po-boy. 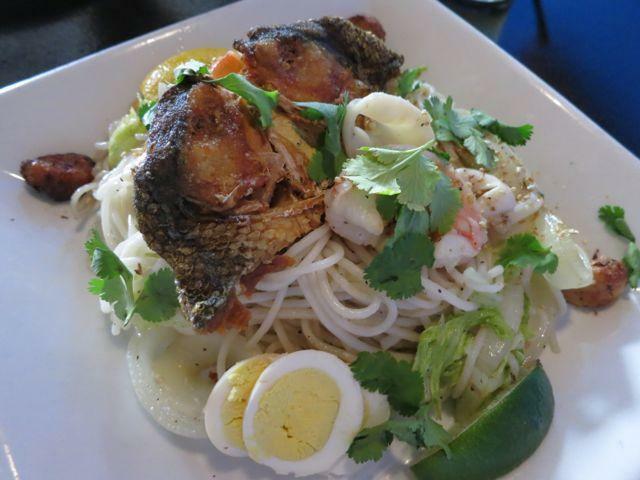 New Orleans, LA – Culinary fusion is hardly a trendy idea for Vietnamese cooks. After all, their traditional food sometimes shows the stamp that a century of French colonial history left on their country. For a handheld lesson on the subject, simply order a banh mi, the Vietnamese sandwich made on crusty French bread and smeared with pate. More mainstream, pan-Asian restaurants have added banh mi, and the high-end Warehouse District deli called Cochon Butcher now features one on its menu.  Last year, the New Orleans East sandwich shop Banh Mi Sao Mai even entered one of its namesake creations in competition at the New Orleans Po-Boy Preservation Festival. Going head to head with some of the city's most popular po-boys, this rather exotic entry took home a coveted award. The bread for banh mi is essential, and it is quite different from the local po-boy loaves holding roast beef and fried oysters. The traditional recipe mixes Asian rice flour with wheat flour for a singular, tropical-weight loaf. It's softer and moister than po-boy loaves, while the thin-skinned exterior remains crackly-crisp. Into this cradle, the banh mi maker crams a wide assortment of fillings, though the traditional mix includes pate, fatty Vietnamese ham and roasted pork, plus the French gift of mayonnaise and a clutch of shredded carrot and radish, a spear of wet cucumber, sprigs of cool cilantro and fiercely hot, raw jalapeno. It's crunchy, textured, fresh, complex yet not heavy. While they are not large, one of these sandwiches makes a sensible, light lunch on a hot summer day. Before Katrina, the noodle shop Pho Tau Bay had four locations in the metro area, making it the most accessible purveyor of banh mi in town. Only the original Pho Tau Bay in Gretna survived the storm, but it still carries the banh mi torch with a dozen varieties, including a rare vegetarian version made with fried tofu. There are a few competing local bakeries that produce banh mi loaves, but the most prominent is Dong Phuong, a fixture in the New Orleans East Vietnamese enclave near NASA's Michoud rocket plant. These loaves are fluffy and airy but compress to dense and chewy under the pressure of your bite. Customers order the sandwiches off the menu in Dong Phuong's restaurant, or get bag loads of them to go from the attached bakeshop. From the traditional standard of sliced pork and crunchy vegetables, banh mi makers have found a universe of new sandwich fillings, from roasted quail to grilled shrimp. Who knows, if sandwich evolution continues long enough in New Orleans, some day we might even see banh mi made with fried oysters or roast beef and gravy. 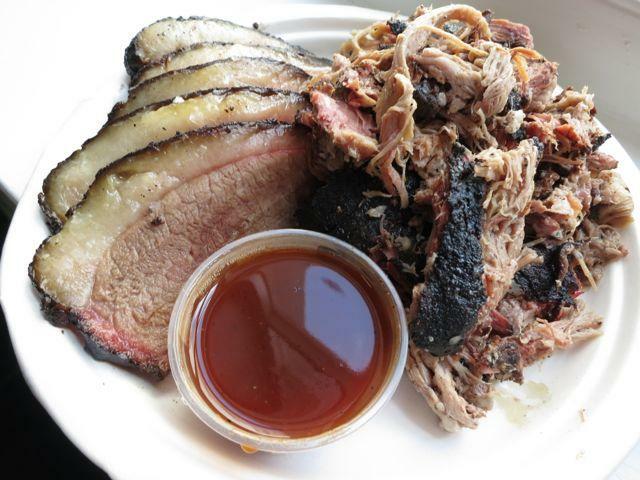 There is a growing number of options for New Orleans barbecue fanatics, and, at new shop in particular, a distinctly local view at the smoker. It can be a tricky business to declare something a "golden age" while you’re right in the midst of it. That sort of analysis is usually better left to hindsight. But still, for barbecue fanatics, there has probably never been a better time to be alive and eating in New Orleans than right now. After building familiarity and followings, one-time pop-up dining concepts are making the leap to become fulltime restaurants around New Orleans. Food terms like pancit noodles, lumpia eggrolls and the pork and tamarind-based soup called sinigang are not exactly household words in New Orleans. But when the local chef Cristina Quackenbush debuted her new Filipino restaurant Milkfish she found a familiar crowd eager to dine on dishes like these, starting right on opening night.